In the UK the most common roofing materials are slate and cement tiles. Thatch and shingle tiles are also used but less frequently. If you keep your eye on your roof for signs of damage then you can make repairs before the minor damage starts to create more problems. A roof is constantly under attack from the weather, extremes of heat and cold, frosts and ice, rain and wind as well as wildlife and plant life too. These different weather conditions and circumstances put great stresses on your roof. Your roof has to be able to expand and contract as the temperature changes and over time that movement can cause tiles to crack or slip. Animal, birds and wildlife can often cause damage to cement work, chimneys, ridges etc. which can cause tiles and slates to slip. Quite often, the first thing you know about a loose ridge tile is when it lands in your garden or on the bonnet of your car in your drive as soon as the wind gets up. In windy conditions, just a single missing tile or slate can allow in enough wind to lift your whole roof into the street below causing thousands of pounds worth of damage. Once the flashing around chimneys and brickwork starts to allow moisture in, it will soon begin to breakdown as frosts and rain will crack the cement until it crumbles. 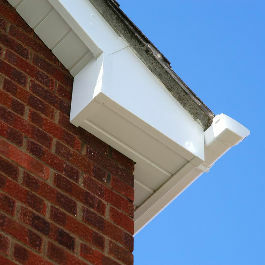 If allowed to decay, wooden fascias will rot, causing damage to your roof trusses which support your roof structure. This is expensive to repair. Annual inspections & preventative roof maintenance can highlight potential roof issues saving larger repair bills in the future. It makes sound economic sense to maintain your property to protect the investment you have made. With your roof, a stitch in time really does save nine. An annual roof inspection will give you the piece of mind to get through the worst winter months, safe in the knowledge that your roof is safe and secure. Knowing that your roof in secure and watertight will give you piece of mind during the harshest of winter weather.